As a footnote to a short period in our history I see Nigel Pearson has been sacked again- by the same people who ran Leicester when he was there! Oh dear, looks like we've got another ostrich here. Having the richest club (by some margin) in the Belgian 2nd tier sat joint bottom of the table is part of his rebuilding plan. Hopefully that Leicester fan will come back on here to reiterate that their title win was entirely down to Pearson. Finished in this country, failed in Belgium, where next? 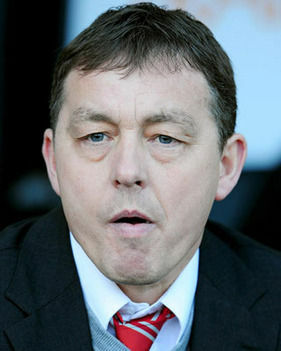 I wouldnt say hes finishef in this country - as a manager he has won the League 1 and Championship trophies. He didnt do great with us, but doesnt mean he is a bad manager. If John Gregory can win Indian Super League - maybe Pearson will fancy his chances in the sub continent next. Wishful thinking tbh. 😄 I'd hate us to come up against him and lose. It's not his managerial record / reputation that I was thinking of, more his behavioural one. There is always a club willing to take a chance. If he wins you the league he can say whatever he wants. Never thought McClaren would manage to recover after the England job, but he has done fairly well since then -even managed to do some damage to Forest before he came to us. If Pearson can keep his mouth under control I believe he could still do well in this country. He might be an absolute lunatic, but he got Preston into the playoffs 2 years running, then got us promoted and then got Forest into the playoffs 2 years running. Plus he let us beat Forest 5-0. I am honestly surprised he has failed to get another job in the Championship considering his track record in this league. You only need to keep him from interacting with anyone other than the playing staff for one season and if he gets you up you can sack him after that. (I think he has been out of it too long now though). He did an awful lot of falling out with people though. I'm surprised he hasn't taken a job in Scotland tbh, a good stint at one of the top flight clubs outside the Old firm would be enough rehabilitation to say look, well Billy's still got it, off the back of that he'd prob get championship offers. Think that's exactly it. If you look at his aforementioned track record, he is up there with the best in this division and should be able to walk a job in the Championship because he clearly knows his way around the division a la Warnock, Bruce, Holloway etc - he SHOULD be one of those managers a club appoints to guarantee them a way out of this division. But the reality is that his non-footballing reputation precedes him and it prevents anybody from touching him with a barge pole for fear of how his antics will tarnish them. For all of his footballing successes, he has left each and every club he's been at in acrimonious circumstances because he's fallen out with the board as a result of shouting his mouth off. I don't think he helps himself with the 'unfinished business', 'lies have kept me out of football' and speaking in the third person nonsense which just feed the narrative that he's a stuck up, egotistical fantasist. That coupled with the extensive legal action he's taken against those he's fallen out with is hardly going to entice an owner to giving him a shot.